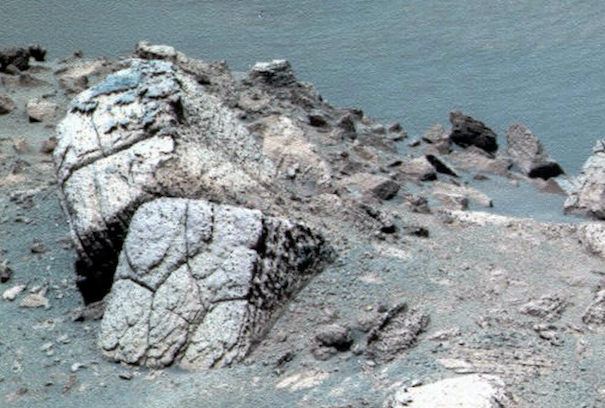 UFO SIGHTINGS DAILY: Aliens On Mars Created 3D Printed Blocks With Beautiful Fake Stone Sides, Aug 2016, Photos, UFO Sighting News. 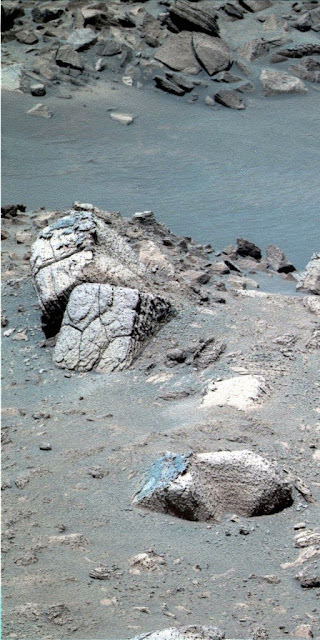 Aliens On Mars Created 3D Printed Blocks With Beautiful Fake Stone Sides, Aug 2016, Photos, UFO Sighting News. 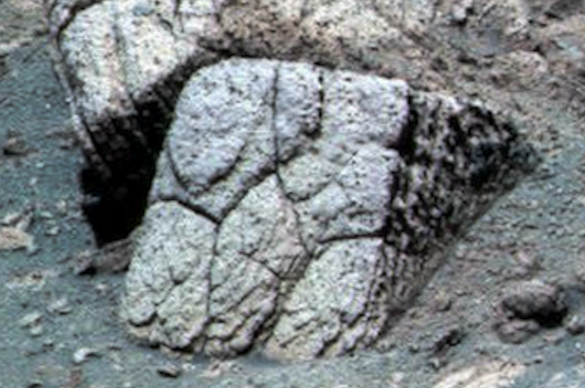 I found these blocks in a NASA photo. At first they seem of little interest, but they hold some valuable information. You see, the were made with crude 3D printer machines that printed them layer by layer as you see from their sides. However the visible side is a beautiful replica of fitted together carved stones, to give the wall a more ascetically pleasing appearance. I also wonder about the material they used to make the layers...did it have built in nano technology that would make the walls or structures smart?